The carriage high bed for the car is the best option for your pet to travel comfortably and safely. Forget the classic carriers and tie your dog in the back seat, in this bed you can rest and look out the window, what he likes! It supports up to 7 kilos of weight and comes with a strap to tie the animal, in addition to a firm grip on the seat belt of the car. This new way of transporting your pet will enchant both of you. What dog does not love watching the outside through the glass? Because it is kept high by straps that fit the seat, even the smallest dogs can look out the window. In addition, it can be placed in the front or rear seat. 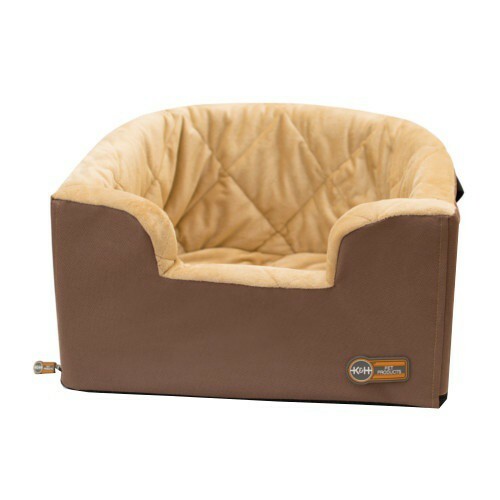 With the carriage high bed for the car the upholstery will not be stained and the animal will go very comfortable and safe, on a soft and padded surface. In addition, the cover can be removed to wash it. Carriage high bed for the car. Comfortable and safe for your pet. Protects the interior of hairs and spots. It allows to see through the window. It is fastened firmly to the belt of the car. Soft and quilted plush bed. Removable cover to wash it. Elevated transport bed for the car suitable for pets to travel comfortable and safe, and can also enjoy looking out the window. 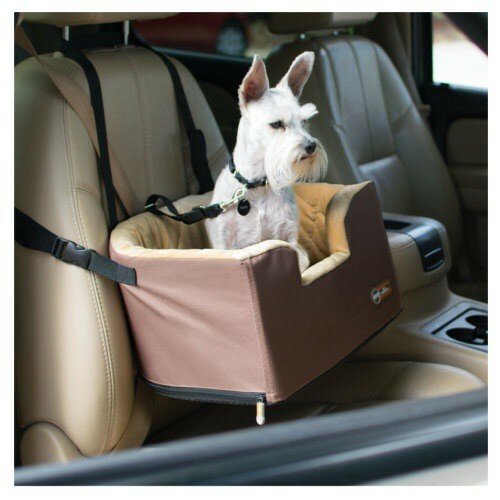 It offers the highest security and the best views of your pet on trips with the carriage high bed for the car.